Darling, be a pet and fire-up the engine. Seems the wind just ran out of puff, again. South-Eastern Australia enjoyed a few typically warm summers days last week and the weather pattern saw wind power output collapse – as it does more than 100 times every year. In our post yesterday we covered the resulting spike in wholesale power prices and “load-shedding” that saw small business owners in Victoria’s coastal tourist Mecca, Port Fairy without power during the most lucrative month of the tourist season. Wind power demonstrated, yet again, that it is truly an “infant” industry. However, as STT’s already observed it’s one infant that will never grow up. We would all be rolling around the floor in fits of laughter if it wasn’t so serious. You see, there are those among our political betters who are keen for more of the same. But, at least a few of Australia’s journos are catching on to the greatest economic and environmental fraud ever committed. Here’s a cracking article from The Weekend Australian by STT Champion, Graham Lloyd. 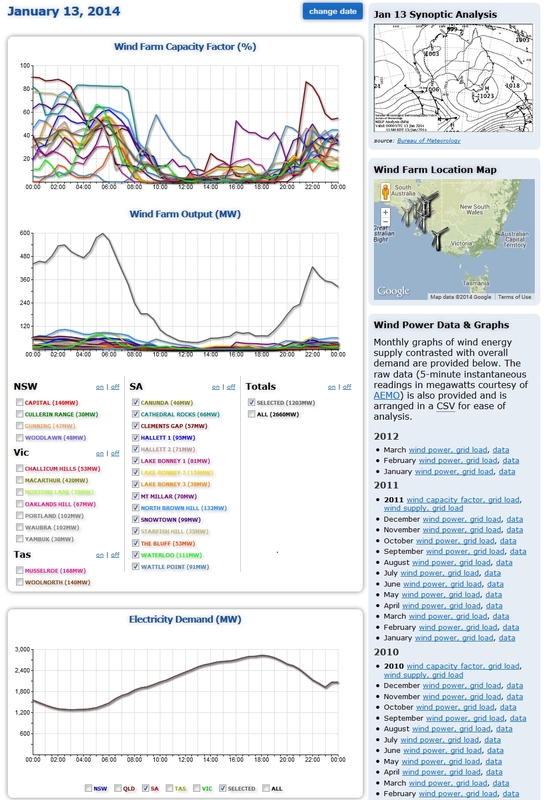 WHEN electricity demand peaked at the height of this week’s heatwave in southern Australia, the total power output from the fleet of wind farms across Victoria and South Australia was almost zero. The doldrums that stopped wind power production about midday on Wednesday coincided with warnings from the Victorian government and the national electricity market operator that electricity users faced the possibility of blackouts. Figures supplied by the Australian Energy Market Operator show that between 11.30am and 4pm on Wednesday, as demand hit a daily peak of 33029 megawatts nationally, wind’s share of supply fell as low as 0.3 per cent. When the electricity price peaked at $6213 in South Australian on Wednesday in the half-hour to 4pm, wind was contributing 0.7 per cent to total demand. The capacity factor (the amount of electricity produced compared with maximum rated capacity of the wind farm) fell as low as 4 per cent in Victoria and 2 per cent in South Australia. In addition, graphs supplied by AEMO yesterday showed that throughout the week, demand for electricity and the capacity factor of wind generation had tended to move in opposite directions. The squeeze on national electricity supply during the week was compounded by the failure of a high voltage cable at AGL’s Loy Yang coal-fired power station, which took one unit offline for 40 hours. In addition, the Torrens power station was offline for about 20 hours after a steam leak. Industrial electricity users were warned they would be the first to lose power supply if load shedding was required. The failure of wind to continue supply at times of high demand this week has highlighted a long-standing argument about the impact of intermittent renewable energy on the stability and reliability of electricity networks. AEMO has said the National Electricity Market allowed for existing coal and gas generators combined with “demand management” at industrial sites, to balance the varying output from wind. The renewable energy industry has argued that wide distribution of wind farms would compensate for intermittent power generation at individual wind farms. An AEMO spokesman said wind generation on the National Electricity Market “contributed a high percentage to the increased demand” on Thursday and yesterday. “Over time, the typical capacity factor of NEM wind averages about 33 per cent,” he said. STT says: “hats off, Graham”. Another sizzling piece from one of the very few Australian journos who isn’t afraid to do his job. In yesterday’s post we took a look at the debacle that is the Victorian energy market. We lapped up the new wind industry euphemism “low-yield wind week” tossed up by AGL as its glib response to the complete and utter failure of its 420 MW Macarthur operation to generate any meaningful output on 14 January 2014. AGL could have just come out and said “to hell with the small business owners at Port Fairy” who were left without a power supply, yet again, thanks to a completely unreliable power generation source which can only ever be delivered at crazy, random intervals. STT is struggling to work out where the AEMO’s claim for the “typical capacity factor” of “about 33 per cent” comes from? The catch could be in the rider “over time”, but the annual capacity factor of all windfarms connected to the Eastern Grid is less than 28%. STT’s not sure about you, but we tend not to “average” our television viewing, computer use, air-conditioning needs or illumination requirements “over time”. STT might be orphans, but we tend to expect that when we switch on the light in order to tend to a crying baby in the middle of the night that bedroom light just might work. When we kicked the kettle into gear for a brew this morning we also considered that the boiling water we were after was only a “click” away. When it comes to power supply and demand the concept of “averages over time” is an “Alice in Wonderland” style nonsense that would make Humpty Dumpty proud. Power is not consumed in “averages” or “over time”. It’s a “here and now” kind of proposition, for most of us. Pop into a hospital and head to the cardiac ward – where you’ll find any number of overweight, middle-aged executives hooked up to a bank of machinery – clinging to life – thanks to electricity. The zipper boys are probably keen to have an around-the-clock power service – maybe because their lives depend upon it. 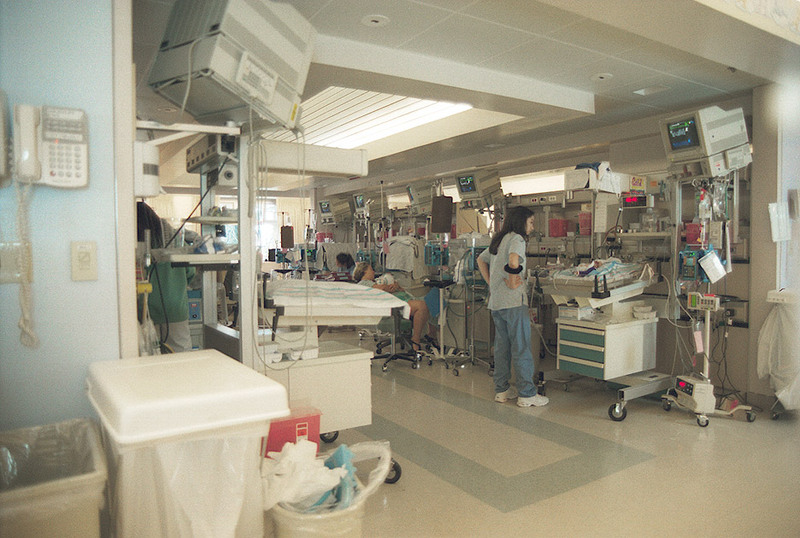 While you’re there, slip over to the neonatal unit and you’ll find quite a few tiny, helpless premature babies in the same boat: hooked up to life supporting equipment, all chewing up power, around-the-clock. as an “average over time”? Why on earth not? Mining, mineral processing, industry and manufacturing don’t work on “averages over time”, either. Come to think of it there’s no aspect of modern life that doesn’t require electricity on-demand. Next time you get off your flight – or arrive at a morning meeting – notice the rush to power terminals as travellers plug-in smart phones and ipads for that essential recharge. Sure, “the connected” last off-grid for a while, but the short battery lives of high-tech kit quickly drag them back to the nearest available power point. The twaddle dished up by the AEMO about “averages over time” was the target of Paul Miskelly’s cracking paper that showed just how vulnerable the Australian power grid is – due to the inherent unreliability and intermittency of wind power (see our post here). It seems that – when it comes to wind power generation – the AEMO suffers from a defect in its understanding of what “unreliable” and “intermittent” means, so we’ll draw them a picture (if the graphs below look fuzzy click on them, and they’ll pop up in a new window and appear razor sharp). South Australia is touted as one of the “wind power capitals of the world” – a dubious title, sure – particularly when South Australians are paying the highest power prices in the world. 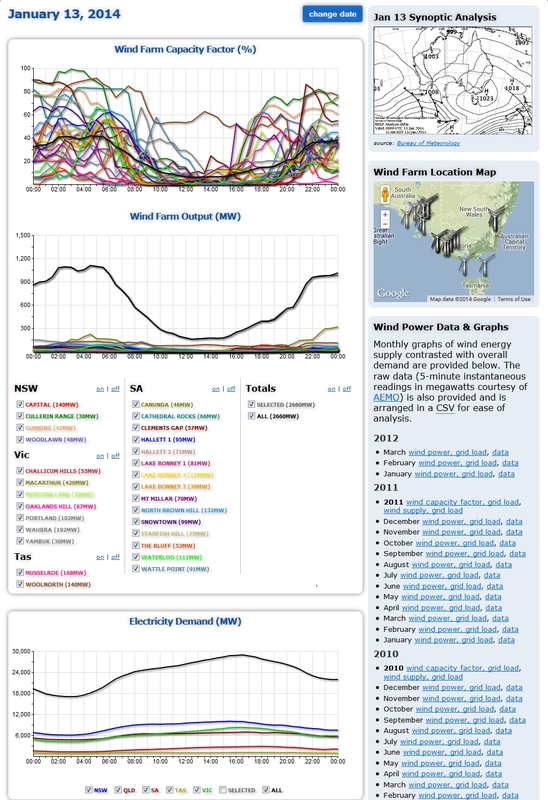 So let’s have a look at its wind power output last Monday (13 January 2014). From 10am to 7pm SA’s huge fleet of fans couldn’t top 120 MW (or more than 10% of total capacity) – and for most of that period produced half that, bottoming out at just under 60 MW (or 4.98% of total capacity) as demand picked up around Noon and climbed through the afternoon. Note the almost complete collapse in wind power supply occurs just when SA needed it most. Reliable stuff, wind power. “Ah”, says the greentard in retort, “but the wind is always blowing somewhere”. 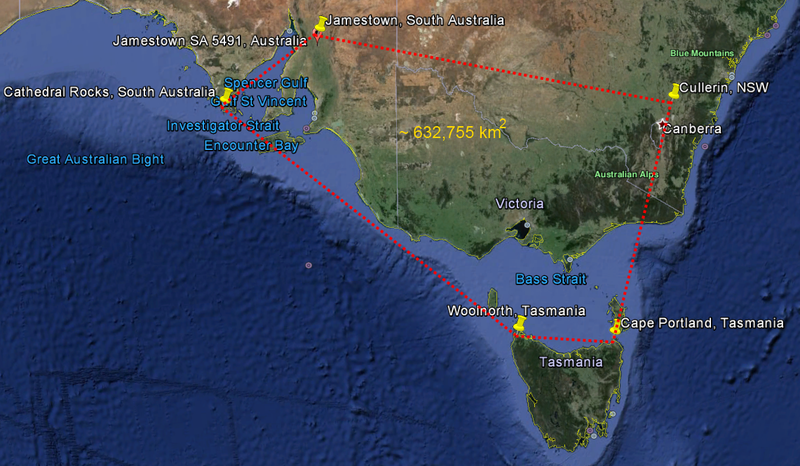 On the Eastern Grid Australia’s wind farms are spread from: Jamestown in the Mid-North, west to Cathedral Rocks on lower Eyre Peninsula and south to Millicent in South Australia; down to Cape Portland (Musselroe) and Woolnorth (Cape Grim) in Tasmania; all over Victoria; and right up to Cullerin on the New South Wales Tablelands. So, the argument goes, with the wind always blowing somewhere, there’ll always be plenty of wind power to supply Australia’s renewable energy “needs”. Well, here’s another picture – same day – but this time covering the entire output of all the fans connected to the Eastern Grid. From 10am from 5pm the entire fleet of fans connected to the Eastern Grid couldn’t top 300 MW (or 11% of their total capacity of 2,660 MW) and for most of that 7 hour stretch struggled to produce 150 MW (or 5.6% of total capacity) and all as demand picked up (as usual) around Noon and rose into the afternoon. Oh dear. That kind of kills the ol’ chestnut about “the wind always blowing somewhere”. The fans connected to the Eastern Grid are spread out over an area bigger than Texas and yet seem to take their daily sabbaticals on a collective “down-tools” basis. If this wasn’t so serious it would be the funniest joke ever told. Fortunately, for Australians the Head Boy, Tony Abbott is all set to scrap the RET, so the “gag” won’t last for much longer. NSW Premier “Barrel of Laughs” Barry O’Farrell is in on the “joke”. He’s keen to imitate SA’s energy market debacle with his own wind-rush. 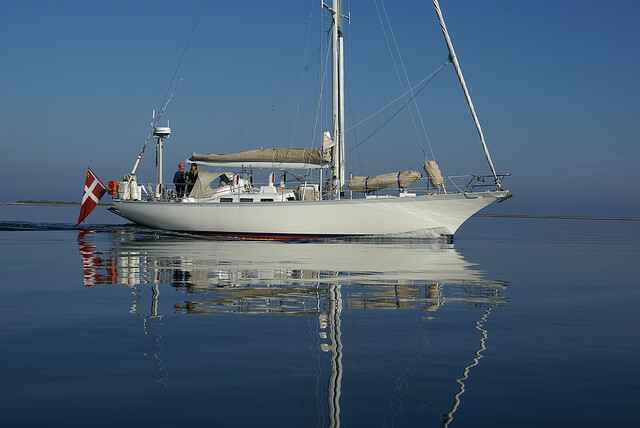 Wind turbines are to energy grids, what sailboats are, to the shipping industry…..USELESS! Wind turbines are at best a novelty, or source of greentard entertainment…at worst, they are a hellish nightmare for all affected by the cost, the noise, and the destruction of our most beautiful lands. The best punchline for this pathetic joke/scam….is prison time. These crooks have been getting away with this fiasco for long enough. We need to have investigations into how things could have gotten this bad, and whose heads are on the block. WELL, WELL, WELL, the little wind weasel and greentard goons just don’t get it. When we need power we need it, but the little fans are stopped and when we don’t need power they are generating power into nothing.Wake up you GOONS, we need coal, gas and hydro so we have power all the time. GET REAL YOU GOONS or go to HELL. Nuclear. All the power, all the safety record, none of the CO2, all the time.